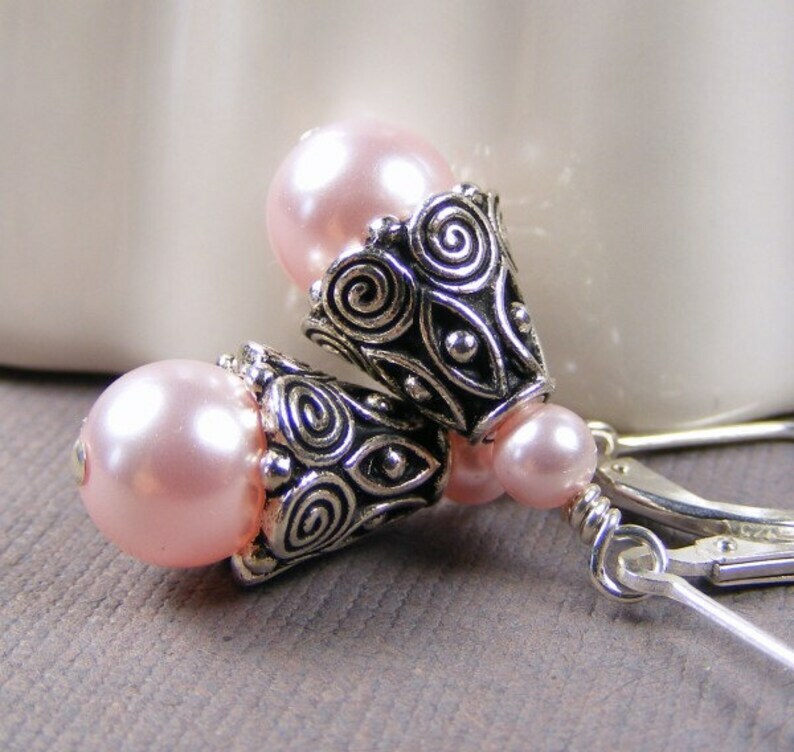 Rhodium-plated pewter cones featuring a spiral pattern accent Swarovski crystal pearls (8mm and 4mm) in Rosaline, a light pink shade. The wires are comfortable and secure sterling silver lever backs. These are simple and elegant for every day, or perfect for wedding parties and brides (see third photo for color ideas). Please convo me with your special color request and allow a few extra days for custom orders.